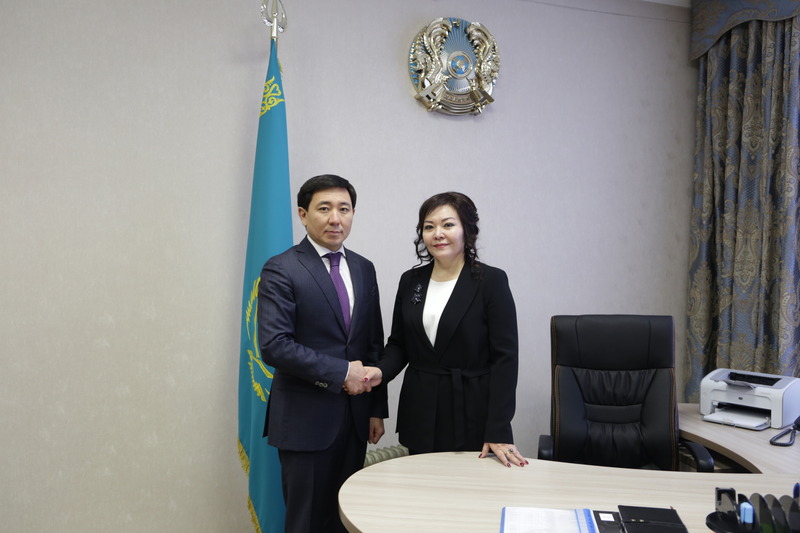 Today, during a meeting with heads of educational institutions of Ust-Kamenogorsk, Akim of the city of Zhaksylyk Omar introduced a new head of the department of education. They became Zhanat Aitpayeva. Zhanat Zhenisbekovna Aitpaeva - a native of the East Kazakhstan region. He has a higher pedagogical education, master of economics and business, candidate of pedagogical sciences. She has been working in education since 1987. She started her career as a teacher in the village of Alekseyevka, Markakolsky District, and worked as a teacher in secondary school No. 40 of Ust-Kamenogorsk. He has experience in methodical work and teaching in VET institutions. From December 2011 she worked as director of the East Kazakhstan Regional Scientific and Practical Center "Daryn". Introducing the new leader to his colleagues, the head of the city identified several key areas in the development of the Ust-Kamenogorsk education sphere. Among the priorities - an increase in the number of kindergartens, improving the quality of secondary education, construction and repair of educational institutions. It is worth noting that the position of the head of the department was vacant for more than a year and a half.